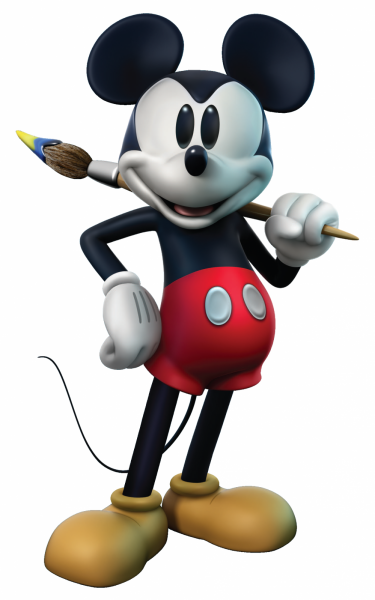 As it seems Epic Mickey 2 is also heading to the PC. It was revealed in Paris on a press conference by both Disney and Junction Point. We dont know if it will be launched together with the Xbox 360, Ps3 and Wii or will be delayed. Epic Mickey 2: The Power of Two returns Mickey Mouse and Oswald the Lucky Rabbit to Wasteland, an alternate world filled with 80 years of forgotten Disney characters and theme park attractions. But for the first time, Mickey and Oswald will join forces as true partners – Mickey with his magical paint brush that allows him to wield paint and thinner, and Oswald with his powerful remote control that allows him to command electricity. This new co-op play further enhances the idea that “PlayStyle Matters” – a unique approach to gameplay pioneered by Warren Spector where players dynamically tackle different challenges in order to explore all possibilities and storylines, but with consequences for their chosen actions. Staying true to Disney’s rich musical heritage, Epic Mickey 2: The Power of Two is the first video game that can be described as a “musical.” At many points throughout the adventure, characters will advance the plot by expressing themselves in song, with all-original music and lyrics. In addition to this distinctive musical approach to storytelling, players will hear tunes and instrumentation that change based on their personal choices, ultimately allowing each player to “conduct” their own unique soundtrack. Disney Interactive has enlisted the help of Emmy award-winning composer James Dooley and noted lyricist Mike Himelstein to create these musical gameplay elements. This wouldn't be the 1st time Disney Interactive put out games for the PC. Recent games are games like Cars 2, Disney Universe, PURE and Split/Second. No specific digital distribution platforms are announced so far.